1. 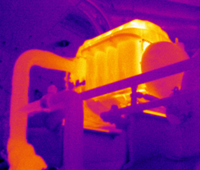 100 hours of practical thermographic inspections. This must be confirmed in writing by your supervisor or manager and on company headed note paper. 2. Submission of a basic report that will highlight at least 20 images. This report should be typical of the work carried out by a technician. Our Level 1 evaluation process concentrates on identifying well constructed qualitative images. a. A report introduction – why the inspection was performed. b. At least 20 Individual report pages of anomalies found or baseline studies. The report can be in any format; complete with real life pictures if possible. c. A summary of the results. 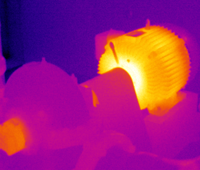 d. Original thermal images in the format of your camera must be included along with the report document. e. A letter from your supervisor stating that you have completed at least 100 hours work. f. If you would like a L1 wallet card, include a passport type digital photograph of yourself. The evaluation process concentrates on the quality of the images and does not comment on the report content. Successful evaluation of the report will lead to completion of the Level 1 certification process based on ASNT-SNT-TC-1A. Students that need guidance will receive feedback and email support to ensure report standard is achieved.